Makeup is Delicious!! 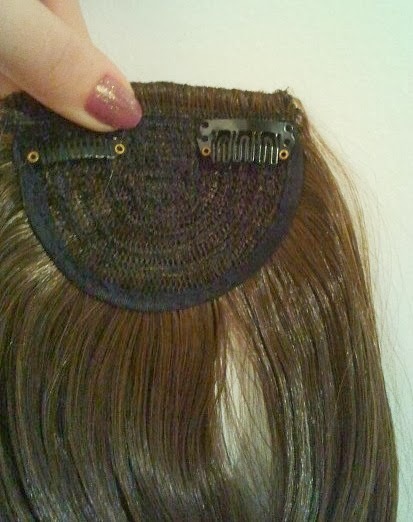 : HOTD: Fake Bangs!! Hello loves!!! 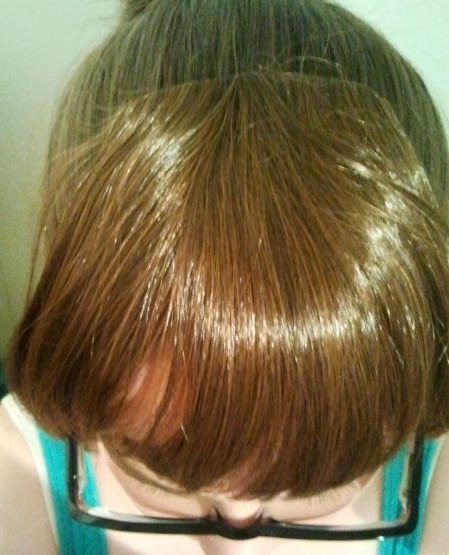 I decided to purchase some fake bangs on Ebay, just for fun. 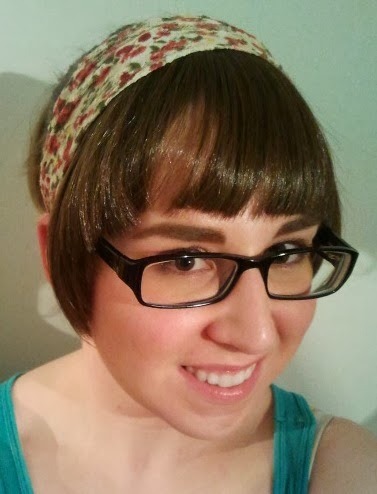 I've had real bangs before and I liked the way they looked but they were high maintenance, and I unfortunately have a cow-lick!! 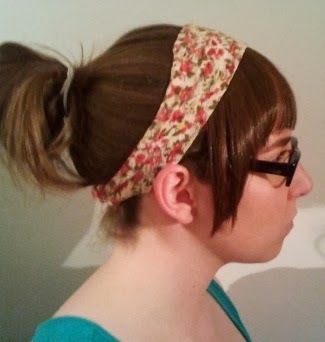 I thought fake ones would be a fun alternative, and if I decided I didn't want bangs on a certain day, no problem, just don't wear them!! 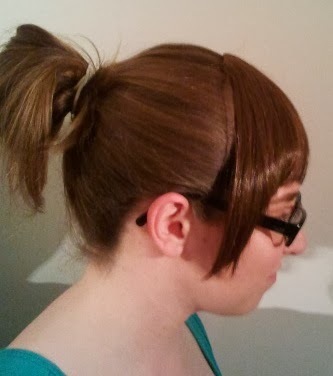 The bangs I purchased were very inexpensive, about $6.00 CAD with the shipping. 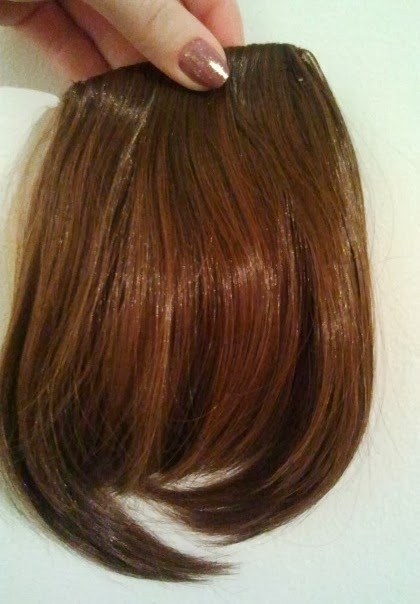 I would recommend spending a little more and getting real human hair if you plan on wearing them all day. These ones would be nice in the morning but get pretty staticky and messy near the end of the day. I washed them with a little shampoo and they came right back to normal however!